Produced by special arrangement with Playscripts, Inc., “Failure: A Love Story” is directed by Tim Gallagher and is stage managed by Sarah Maxwell. 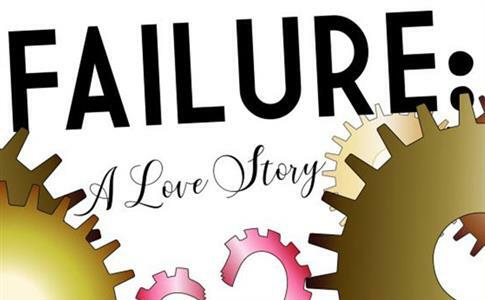 Montgomery County Community College’s Theatre Arts Program and West End Student Theatre will present “Failure: A Love Story” by Philip Dawkins from April 4 to 6 in the college’s South Hall Community Room, West Campus, 101 College Drive, Pottstown. “Failure: A Love Story” takes place in 1928 and features the three Fail sisters — Nelly, Jenny June and Gerty. Tuneful songs, and a whimsical chorus follow their story, as they live out their lives above the family clock repair shop near the Chicago River, before their time unexpectedly runs out. All three sisters tragically expire in reverse order, youngest to oldest, from a blunt object to the head, disappearance and finally consumption. A magical, musical fable where, in the end, the power of love is far greater than any individual’s successes or failures. Produced by special arrangement with Playscripts, Inc., “Failure: A Love Story” is directed by Tim Gallagher and is stage managed by Sarah Maxwell. It is produced, designed and built by students in the Theatre Production Workshop and the West End Student Theatre. The production members include Charise Williams, Amber Grier, Genevieve Evans, Nick Mulcahy, Michael Thornton, Richard Ledig, Chris Shloshman, Joshua Williams, Allison Munsey, Emma Burrus, Toby Troyer, John Falcone, Sarah Maxwell, Hailey Ellwanger, Trevor Long, Senica Allen, Michaela Sloan and Lydia Klementisz. Performances will be held April 4 to 6 at 7 p.m., with a special afternoon performance on Friday, April 5, at 12:30 p.m. in the South Hall Community Room. General Admission is $10 and $5 for students and seniors. To purchase tickets, please visit https://www.mc3.edu/student-performances or call 215-641-6518.